We stand by everything we sell. However, if you aren't satisfied with your purchase from Hartwell House, you can return it for a replacement or refund within 2 weeks of purchase. 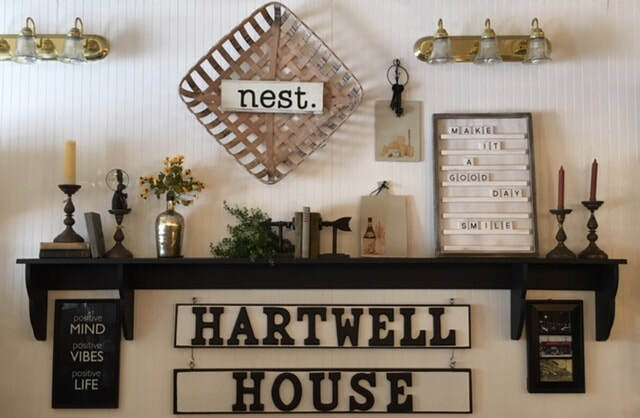 You can return or exchange purchases from Hartwell House by mail or at our retail location. Our address is: 100 East Main Street Pomeroy, Ohio 45769. You must have proof of purchase (receipt, shipping invoice, email, etc.) for all returns / exchanges. If an item that we send you appears to be "damaged" please contact us. We will replace it, if needed. Our return policy does not cover ordinary wear and tear or damage caused by accident or improper use. Please call us at (740)992-7696 for any questions regarding a return or exchange.